We are excited to announce that Carly’s first book has been published! If you have ever wanted someone to just “get real” with you, this book is for you! 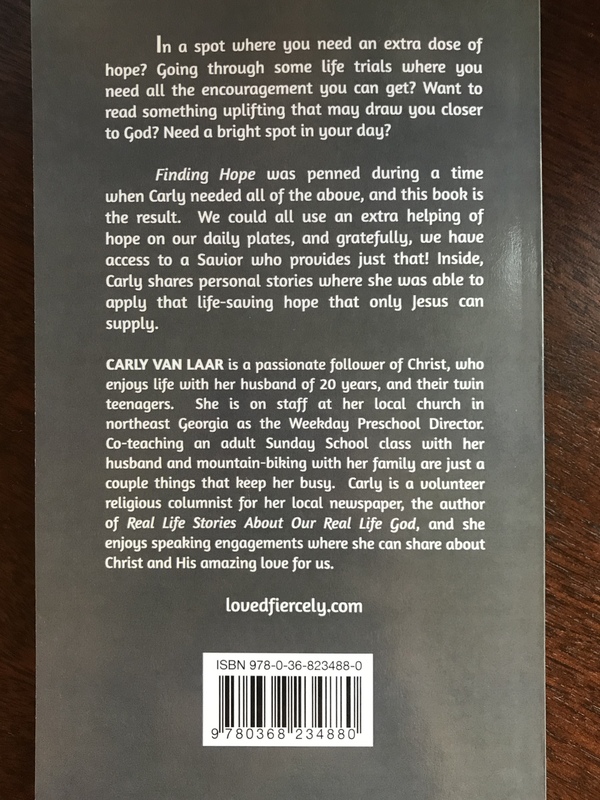 Peeking into the pages of this book is peeking into Carly’s life–the good, the bad, and even the ugly, as it all points to where she sees God in the moments of her daily life. This book is a collection of stories that have been penned with the sole purpose of bringing glory and honor to God. 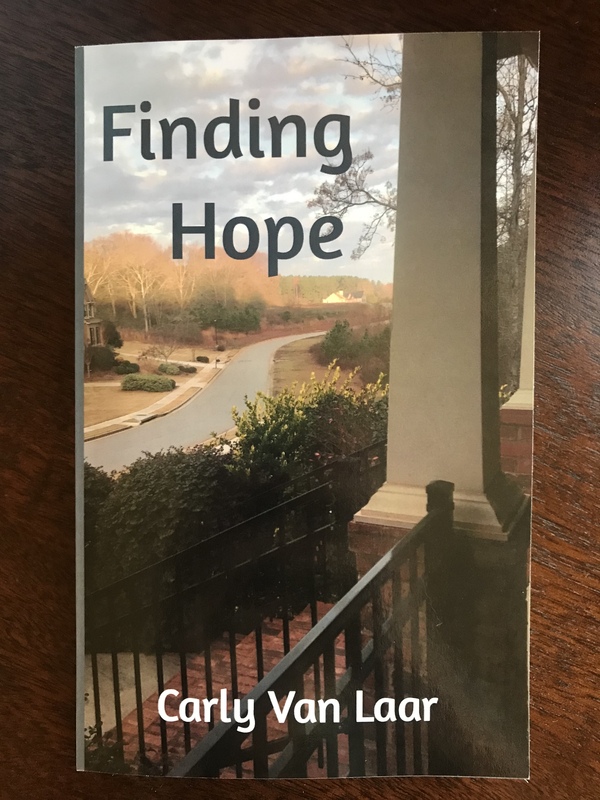 It is Carly’s hope that this book could be used to introduce God to someone whom does not yet know Him, prompt salvation through the saving knowledge of Jesus Christ, or perhaps to the person who does know Him, it could be used to deepen that relationship. This is an easy-to-read collection of short stories that can be picked-up and set-down often, perfect for those times when there is just a few moments to read! 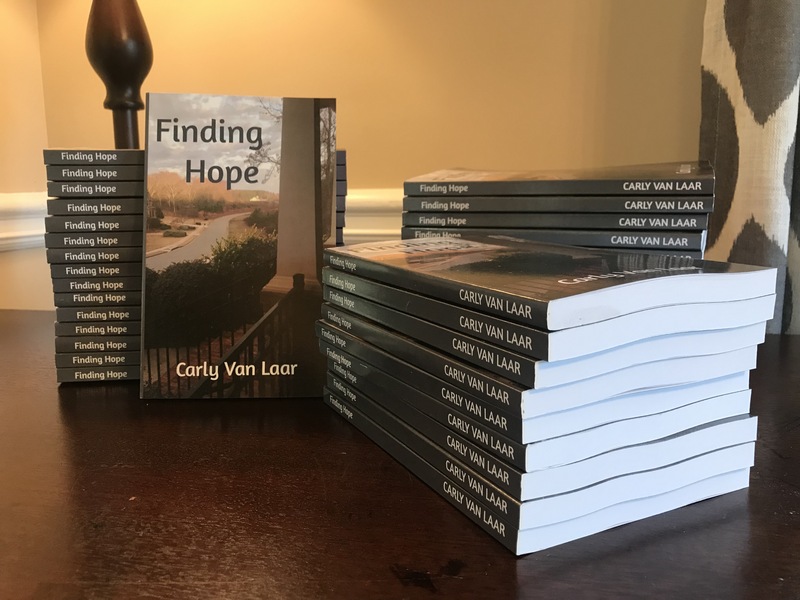 Finding Hope, Carly’s 2nd book, is now available! Order your copy for $12.99 on Amazon.